Comfort is a full-featured Intruder Alarm System with dialer, telephone control, multiple security modes, which is linked to appliances, lights and other systems in the home. VACATION mode (lights and appliances activated in a semi-random manner). In the event of any alarm, the system can dial to 8 telephone numbers including Central Monitoring Station (a service which monitors alarms from alarm systems which are subscribed), and mobile phones to announce the cause of the alarm. Add-on modules allows the sending of SMS or emails for any alarm. Each Alarm Type like Intruder, Fire, Power Failure can be programmed to dial to any combination of the 8 telephone numbers – for example, Intruder Alarm to Central Station and owner, Power Failure to the owner, Low Battery to the Installation company etc. 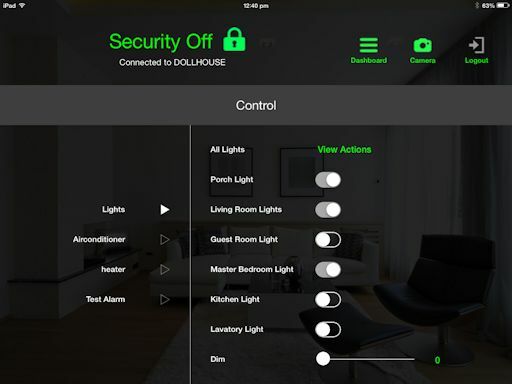 You can access your Comfort-enabled home by iOS or Android Phone or Tablet from anywhere in the world to check if you left the lights or appliances on, or if you forgot to arm the security system, and to control your home. With Comfort, home security and home appliances can be linked together to act intelligently, so that for example, when the system is armed to Away Mode, all the lights, air-conditioning, or other appliances can be switched off; or when you come home at night, the car porch light and main entrance light can be turned on automatically. This is the true benefit of Integration. Comfort can control lighting, home appliances, curtains, heating, air-conditioning, home entertainment- in fact almost anything in the home. Comfort is able to send infrared signals to any IR-enabled appliance like air-conditioning, TVs, sound systems, and projectors. Comfort has interfaces to popular lighting systems like C-Bus, KNX, Dynalite, Velbus, Lutron, Rako or Z-Wave wireless home automation standard, offering users the maximum flexibility to use the most suitable combination of subsystems to suit their budget and taste. A comprehensive Voice Menu (available in several languages) allows Comfort to be controlled from any remote or home telephone. 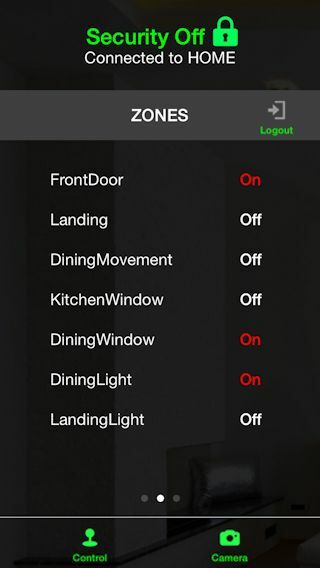 The real time status of the lights and appliances is announced so you can check before switching anything on or off. Local and remote control by PC is possible through third party software like the ComfortClient. Comfort combines home security and home automation making the home act intelligently. For example, movement in the garden can cause an exterior light to be turned on and a warning message to be played on the outdoor speaker, and in Vacation Mode, the lights, TV and radio turn on at different but similar times each day. Free apps are available for iPad, iPhone, Android Tablets and Android Phones to allow you to use your smart phone/tablet to access your Home system. Comfort includes an Answering machine. Each user can access messages by using their own PIN code in the home phone, remote phone or keypad. Users can also leave message for other family members on the keypad. While the message is being recorded by the caller, it can be heard on the keypad, and the call can be answered if desired. The Message LED indicator lights up when there are new messages in the system. The Door Station rings the home phones when a visitor presses the doorbell, allowing you to talk to the visitor from any phone, and to open the door or gate for the visitor. When no one is at home and the security is armed to Away Mode, the system can dial to your mobile phone to let you talk to the visitor just like you were at home, and allows you to open the door for friends, delivery staff or hired help. This can also deter prowlers checking for unoccupied homes. The Comfort Controller, CP9000 is the brains of the system. It consists of 8 inputs for Security sensors and 8 outputs for relays and Infrared signals, with built-in Auto answering with voicemail, dialer, voice menu, telephone interface, Time Programs and reminders. Slave Expansion Modules (SEM), Local Expansion Modules (LEM) and Remote Input/Output Modules (RIO) allow up to 216 inputs and 216 outputs in the system. Up to 8 KP04, KP05, KP06 keypads or KT03 Touchscreen keypads can be connected in a system, together with 3 Door Stations (DS01 or DS02). A Ringer Module (RGR05) is required to ring the house phones when Door stations are used. The UCM/ETH03 for ethernet or UCM/USB module is needed to program the system using the Comfigurator Software. The UCM also includes an Infrared signal learner for IR signals. The UCM/ETH03 allows Comfort apps to control Comfort, and also allows the sending of emails in the event of alarms. Up to 8 UCM Interfaces to various 3rd party lighting and electrical systems (eg C-Bus, KNX, Z-Wave, Dynalite, Lutron, Rako etc) can be added to the system.